On November 12, 2013, Attorney General Eric Holder announced the appointment of East Palo Alto (California) Police Chief Ronald L. Davis as director of the Office of Community Oriented Policing Services (COPS). 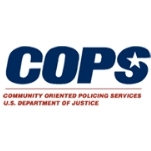 The office works with police agencies throughout the country to advance community policing, primarily by sharing information and making grants to law-enforcement agencies. Davis, the son of a Philadelphia police officer and a secretary, began his career in law enforcement at the age of 21, when he joined the Oakland (California) Police Department in August 1985 after a hitch in the U.S. Air Force. He remained with the Oakland department for 20 years, serving in such positions as inspector general, criminal investigations commander and director of the police academy. Davis eventually reached the rank of captain in the agency. In May 2005, Davis was named chief of the troubled East Palo Alto Police Department. The city it patrolled was once known as the “murder capital of the United States” and the police department had problems with some officers charged with brutality against suspects. Davis turned the department around, with homicides falling dramatically during his tenure. Davis is known as an expert on racial profiling by police, and has testified before the Senate Judiciary Committee, in 2001 and 2012, on the subject. While in East Palo Alto, he helped implement a parole-reentry program. The program had a significant effect on return-to-custody rates, seeing them fall from 60% to 20%. Before being tapped for the Justice Department post, Davis was a finalist for two big-city police chief jobs, in Seattle and New Orleans. Davis is the co-author of the Harvard University and National Institute of Justice (NIJ) publication, “Exploring the Role of the Police in Prisoner Reentry.” He holds a bachelor of science in Workforce Education and Development from Southern Illinois University in Carbondale.